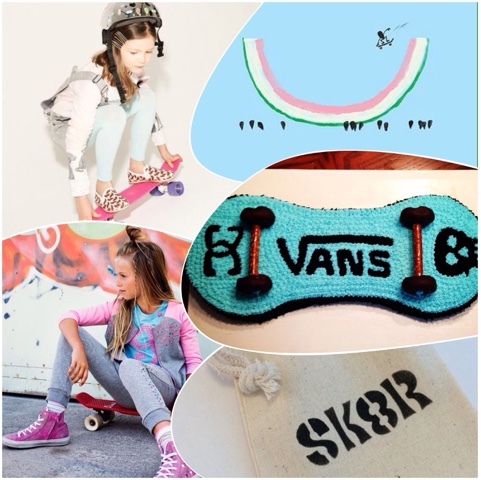 Today's party idea is for a rad Sk8 party for girls! This would be a gr8 idea for a tween girl's birthday party that isn't too girly, but is totally cool. You could hold the party at home (or a friend's house with a half pipe!) or even outside at your local skate park. 2. Watermelon skateboard illustration - this would be an amazing invitation idea! 3. Skateboard cake via Pinterest, no link available.